How do you think my Seamus Joe knows the difference between a shirt and a pair of pants? 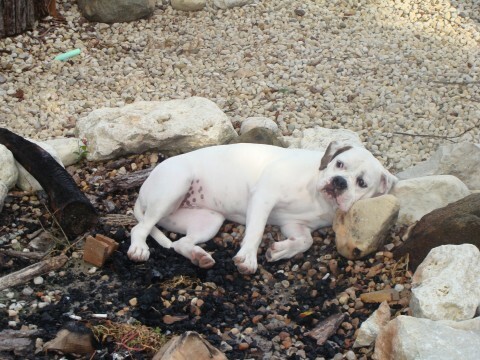 Why does my bulldog Lola like to take naps in our fire pit, particularly when we’ve just had a fire and it’s dangerously hot? It doesn’t make sense that she wants to sleep on the hot ashes in the middle of summer.